Long Island, NY (December, 2018) – Applications are now being taken for the 7th Annual “Your Big Break” (YBB) Talent Competition, organized by the Gold Coast Arts Center, Love Revolution Org., and the Rick Eberle Agency. The deadline for submissions is Sunday, January 6, 2019. 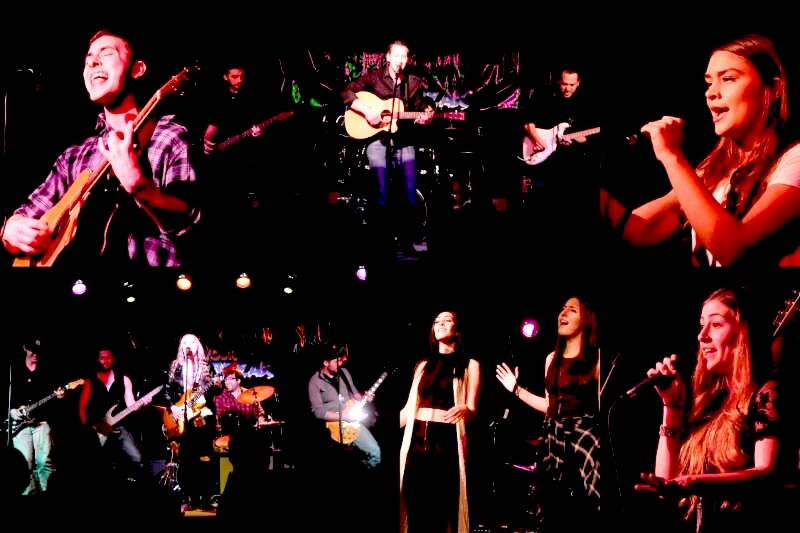 There is an OPEN CALL for submissions for musicians ages 15 to 25 living on Long Island and in all five boroughs, who do not currently have a recording or publishing contract to submit for the showcase events; interested artists must perform with a band or solo with an acoustic guitar or sing to a backing music track. Though artists are judged in areas from stage presence to overall musicianship, YBB is largely a singing competition. There is NO FEE to enter. To be considered, email to gnacbigbreak@gmail.com: one MP3 song, one photo, a short bio. Or enter online at Reverbnation, https://bit.ly/2G8quOb. Judges are major players in the music industry, with past years having included ReverbNation.com’s Lou Plaia, All Music Inc.’s Guy Brogna, songwriter Tara Eberle Drouin, producer David Caggiano, producer Richy Petrello, and label executives Stephen Marcuccio, Jerry Lembo, Linda Ingrisano, and Mark Ambrosino. 2019 judges are soon TBA. Finalists will be assigned mentors who will work to help them hone their craft before performing at the finals. 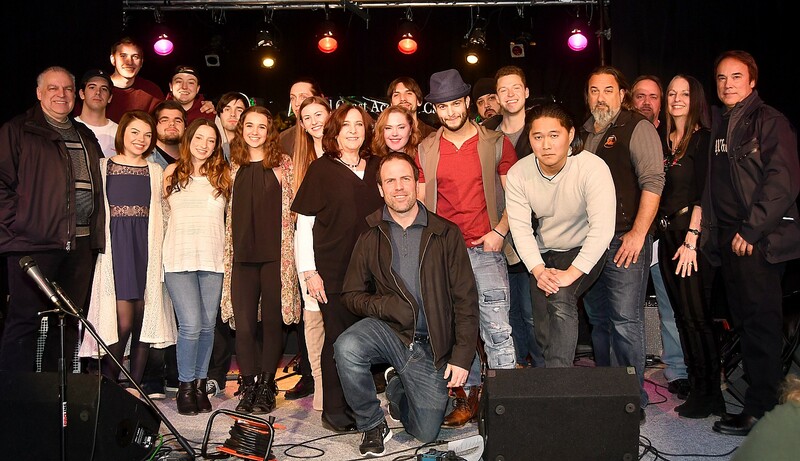 2019 mentors are still TBD – while this past year’s have included American Idol’s Robbie Rosen, Dream Recording Studio’s Jason Melker, Sojourn Record’s Mark Ambrosino, producer/songwriter and former VP of A&R at Atlantic Records Jimmy Bralower, singer/songwriter John Hampson of Nine Days, singer/songwriter Ryan Star, and songwriter/producer Donnie Klang of MTV’s “Making the Band”, songwriter/producer Ido Zmishlany, and others. Each evening is capped with a special headlining performance. Past artists who have performed in the headline slots have included: Buddhist Priest, Iridesense, John Hampson of Nine Days, The Brady Brothers, and Sir Cadian Rhythm – all of whom are local musicians who have had major success in the industry, with hopes to further inspire the next generation of New York stars presented each year. The 2018 YBB champions, All Types of Kinds, play a wide variety of music ranging from rock to pop, folk, punk, funk, hip-hop, blues and country – even sometimes all at once. The members come from diverse backgrounds that make for an amalgamation of musical textures and vibes. Their EP, “Love Songs (Or Songs For Your Ex)” debuted earlier this year, and they are currently performing dates all over the country. Past winners Paris Ray, Youth Be Told, Katie Zimmer, Annika and Matt Grabowski and finalists SEE and Zofolk have gone on to work with major producers, managers, and agents. The semi-finalists are selected from some 1,000 submissions. The Gold Coast Arts Center is a 501(c)(3) organization dedicated to promoting the arts through education, exhibition, performance, and outreach. Located on the North Shore of Long Island, it has brought the arts to tens of thousands of people throughout the region for over 20 years. Among the Center’s offerings are its School for the Arts, which holds year-round classes in visual and performing arts for students of all ages and abilities; a free public art gallery; a concert and lecture series; film screenings and discussions; the annual Gold Coast International Film Festival; and initiatives that focus on senior citizens and underserved communities. These initiatives include artist residencies, after-school programs, school assemblies, teacher-training workshops, and parent-child workshops. The Gold Coast Arts Center is an affiliate of the John F. Kennedy Center for the Performing Arts Partners in Education program, and the National Gallery of Art in Washington, D.C. More information can be found at www.goldcoastarts.org. For information on upcoming classes/exhibits/activities at the Gold Coast Arts Center, visit www.GoldCoastArts.org or call 516-829-2570. 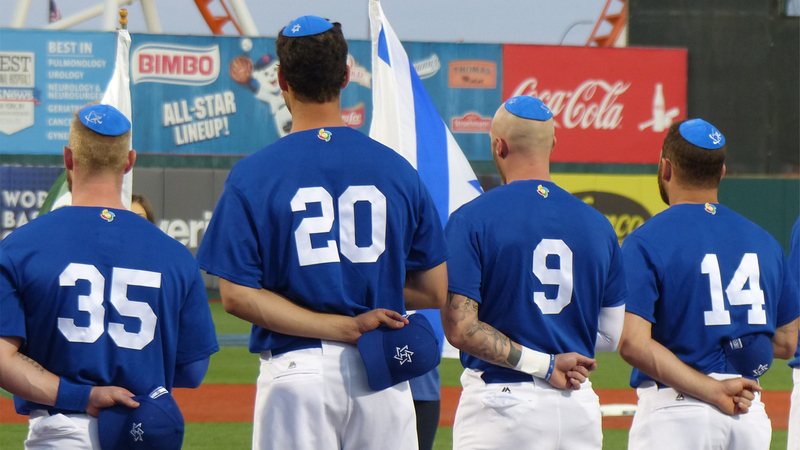 The film Heading Home: The Tale of Team Israel, will have its Long Island premiere at the Gold Coast International Film Festival; it is one of more than 80 feature-length and short films at the festival which begins November 2 (photo courtesy of Menemsha Films). LONG ISLAND, NY — Among more than 80 feature-length and short films at the 2018 Gold Coast International Film Festival includes the Long Island premiere of Heading Home: The Tale of Team Israel, (Seth Kramer, Daniel A. Miller, Jeremy Newberger | 2017 | 87 min | Documentary) winner of several festival audience awards, about the stirring underdog triumph of Israel’s national baseball team at the 2017 World Baseball Classic. Director Jeremy Newberger will be on hand for an insightful Q&A after the film. Heading Home will be presented on Sunday, November 11, at 4:30 p.m. at the Bow Tie Squire Cinemas, 115 Middle Neck Road, Great Neck. Other films of Jewish and Israeli interest are the New York Premiere of The Interpreter (Martin Sulík | 2018 | 113 min | Slovakia | English subtitles | Narrative), a unique drama, layered with humor about two elderly men who embark upon a bittersweet journey to meet surviving witnesses of the wartime tragedy involving both of their fathers, one a Nazi criminal, the other a victim of the Holocaust. The Interpreter is Slovakia’s official submission to this year’s Academy Awards. The film is being presented on Thursday, November 8 at 7:30 p.m. at the Bow Tie Squire Cinemas, Great Neck. The Museum (Ran Tal | 2018 | 74 min | Israel | English subtitles | Documentary), a fascinating documentary which delves into housing one of the world’s greatest collections of art and antiquities, will have its Long Island premiere during the festival. The Israel Museum poses for its complex portrait in this elegant and fascinating observational documentary. This masterful behind-the-scenes film seeks to explore the Israeli soul through its galleries, storerooms, and visitors. A Q&A with Maureen Cogan, Co-Chair of the International Friends of the Israel Museum follows the screening, which takes place on Sunday, November 11, 2018, at 1 p.m. at the Bow Tie Squire Cinemas, Great Neck. Budapest Noir (the Long Island Premiere), a classically styled film noir that reimagines the dark side of pre-war Hungary based on the internationally best-selling book. Noted film scholar and author Foster Hirsch will join us for a discussion after the film. Budapest Noir screens on Monday, November 12, at 7:30 p.m. at the Bow Tie Squire Cinemas, Great Neck. Bathtubs Over Broadway, winner of this year’s Tribeca Film Festival’s “Albert Maysles New Documentary Director Award.” This musical comedy documentary delves into the strange and hilarious world of industrial musicals — Broadway-style productions made for some of corporate America’s largest companies’ annual sales meetings. Film star Steve Young will join us for a Q&A after the film. Bathtubs Over Broadway will screen on Saturday, November 10, at 7 p.m. at the Soundview Cinemas, Port Washington. This year, the Gold Coast International Film Festival will again present the work of talented young filmmakers in grades K-12 as part of its Young Filmmakers Program, in partnership with Hofstra University. Other special programs include: Making Memories with Music and Art, an ongoing, free monthly program for people with memory loss and their caregivers that features film clips and live music, with guided conversation. Family Shorts returns on various days throughout the festival at multiple venues including Gold Coast Arts Center, Cinema Arts Center in Huntington and the Roslyn and Port Washington Libraries (many of these screenings are free). Family Film Day is an afternoon of family-friendly short films, hands-on art activities, and free lunch, and takes place on Monday, November 12 (Veterans Day). Free tickets for Veterans program is sponsored this year by Operation Democracy. For tickets to all screenings and events, visit www.goldcoastfilmfestival.org, or call 516-829-2570. Tickets for most events are $15 adult/$13 senior/$10 members. Since 2011, the Gold Coast International Film Festival has brought the latest Hollywood hits and Indie favorites to standing-room-only audiences throughout the fabled Gold Coast of Long Island and beyond. Add A-list celebrities and unforgettable events to the mix, and it’s easy to see why the Gold Coast International Film Festival has become the “go to” festival for film buffs and the public; (it is also the last major film festival on the East Coast before Awards season). The Gold Coast International Film Festival is produced by the not-for-profit Gold Coast Arts Center. Dozens of DOCSincluding great films about Culinary Prodigies, Baseball Underdogs, Film Icons, Remarkable Inventions, Famous Fashion Designers, Broadway Legends, Racecars, the Israel Art Museum, and even Sinatra and the Beatles. 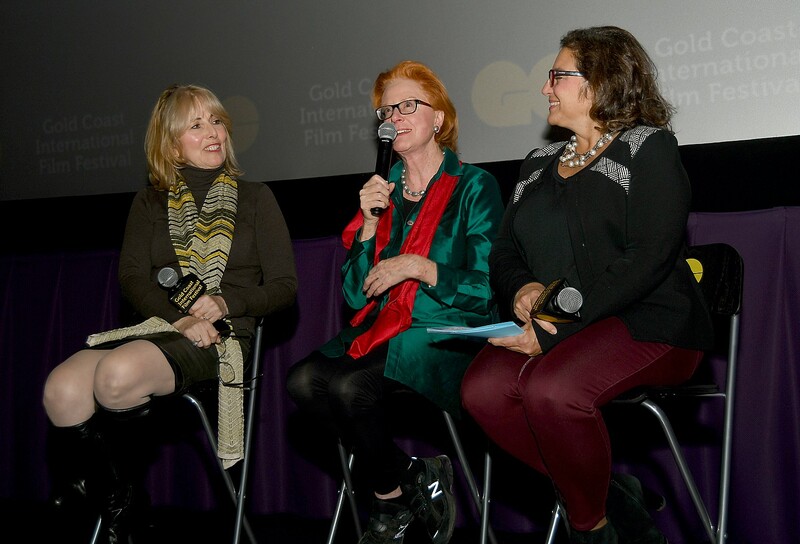 In addition to seeing new films and films that are only screened at festivals, the Gold Coast International Festival features dozens of Q&As with filmmakers and special guests special events, award-winning spotlights and premiere after premiere after premiere. Enjoy an unforgettable night of everything Fab Four! In 1967 the Beatles produced a free-wheeling, largely-improvised television special that married their pop sensibilities with countercultural experimentalism. This new filmed multimedia lecture from expert Scott Freiman takes fans behind the scenes during the production of the film and explores the creative process behind the songs. Q&A with Musicologist, Scott Freiman, followed by a Beatles celebration at the Gold Coast Arts Center featuring a concert by Beatles cover band Penny Lane, dessert, drinks and more! Pay tribute to our Veterans and military personnel with a special Making Memories program that includes clips from your favorite military themed films and a live music sing-along of patriotic favorites led by award-winning musician Roberta Fabiano. Making Memories is a series of FREE monthly arts programs at the Gold Coast Arts Center for people living with memory loss and their care partners led by Marcy Rhodes, a certified special education teacher and licensed master social worker. Includes light refreshments. RSVP required. Holocaust. Heartfelt and charming, with a wonderful comedic flavor, the film reminds us of the importance of family, friendship, and keeping your word. Festival Programmer talk following the film. A psychological drama about Esmail, a young Iranian refugee who is desperately looking to meet a woman who can help secure his stay in Denmark. As time is running out he meets the whip-smart Sarah, an Iranian-born Danish citizen, and more than one person ends up getting hurt as his deception catches up with him. 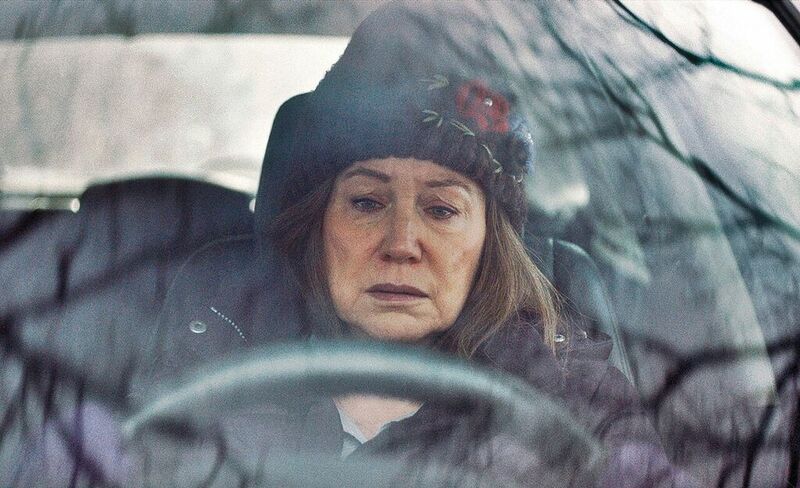 In one of the finest performance by an American actress this year, Mary Kay Place stars in “Diane,” a moving portrait and character study of a widowed older woman, who overextends herself trying to take care of her family and friends, while dealing with a drug-addicted son. The film, executive produced by Martin Scorsese, was the winner of Best Narrative Feature at the 2018 Tribeca Film Festival and will have its Long Island Premiere at the 2018 Gold Coast International Film Festival, Nov. 2-13. This gorgeous period drama chronicles the character-forming period in the young life of the astonishingly unconventional Astrid Lindgren (author of Pippi Longstocking), who would go on to worldwide fame as one of the most beloved children’s authors ever. A warm and lively film featuring vibrant performances and stunning set design. Celebrated Chinese couturier Guo Pei is perhaps best known for designing the brilliant gold gown Rihanna wore to the Met Ball in 2015. But Guo’s quest to be recognized by the gatekeepers of Paris haute couture goes beyond the red carpet and taps into global power dynamics and the perpetual tension between art and commerce. An eye-opening, behind-the-scenes documentary. A tale of how great vision and epic failure can change the world. In the early 90s, the world’s largest electronics corporations formed a secret company tasked with developing the ‘next big thing’. The company was General Magic and their invention took a thing of sci-fi fiction to reality – a handheld wireless personal communicator. The fascinating story of the rise – and fall – of the pioneering tech company that created a product years ahead of its time. Do objects retain a spark of life from their owner after that person dies? This question catapults a dynamic brother-sister filmmaking duo on an epic odyssey to excavate their deceased grandma Annette’s unassuming Newark home of 71 years. A Sundance Film Festival hit! some of the world’s most celebrated chefs and by 16, he was featured in a cover story of The New York Times Magazine. A uniquely comprehensive portrait of a young star’s rise as seen from the inside. A musical-comedy-documentary! Comedy writer Steve Young’s assignment to scour bargain-bin vinyl for a Late Night with David Letterman segment becomes an unexpected, decades-spanning obsession when he stumbles upon the strange and hilarious world of industrial musicals. In this charming romantic comedy, nice-guy Fred (Paul Lieberstein, Toby from The Office) rarely gets through the day without falling to the ground with crippling back and neck pain, and is not taken seriously by anyone at work. But as he discovers unexpected love and a rather unique talent, it is just the start of the unpredictable happenings coming his way. Four grumpy old men in a Dubai retirement home get a new lease on life when one of them receives a windfall inheritance. Dotted with tender moments, this feel-good comedy about aging, friendship and new directions moves along with a sprightly energy that can’t help but make you smile. What makes you happy? Money? Kids and family? Your work? Academy Award® nominated director Roko Belic’s film explores the secrets behind our most valued emotion. From the bayous of Louisiana, the deserts of Namibia, the beaches of Brazil and the villages of Okinawa, Belic goes in search of what really makes people happy. Come meet the next Scorsese, Spielberg or Bigelow! Support the next generation of filmmakers at this special FREE event that is one of the most talked about events each year. We’ll screen the best short films selected from the hundreds submitted to our 2018 Young Filmmakers Program by kids in grades K-12. Long Island is the birthplace of American stock car racing, but today, only one racetrack remains: Riverhead Raceway, established in 1949 on an initially rural part of Long Island. In this playful French period comedy, Elisabeth is principled, honest, and clever. When her sister’s new husband, the pompous Captain Neuville (Academy Award-Winner Jean Dujardin The Artist), heads to war and forgets about his wife, Elisabeth writes letters on his behalf to cheer up her sister. Her elaborate web of white lies comes crashing down when the Captain returns from the front. Festival Programmer talk following the film. In 1943 when Berlin was declared “Judenfrei” (“free of Jews”), there were still 7,000 Jews secretly residing there who survived by hiding in attics, warehouses and sometimes disguised in plain sight. This gripping docu-drama details the inspiring resourcefulness and courage shown by teenagers and young adults living in dire conditions with an uncertain future. While schools are closed for Veteran’s Day, the Gold Coast International Film Festival is open for you! Enjoy an afternoon of short films hand-selected for a family audience plus fun, hands-on movie themed art activities. Includes free lunch. All ages welcome! Every child must be accompanied by an adult. An intimate and insightful tribute to a once-in-a-generation talent, the legendary lyricist Howard Ashman. His impact on Broadway, movies and the culture at large is incalcuable. His hits include Beauty and the Beast, The Little Mermaid, Little Shop of Horrors. A beautiful young girl is found dead and no one wants to investigate except a crime reporter who has a gut feeling that things are not what they seem. Based on the international best-selling novel, a classically-styled noir film that reimagines the dark side of pre-war Hungary. This is also the time of year to join as a Gold Coast Film Society member to get a free ticket to the festival, among other perks that include: first chance at tickets to GCIFF screenings; member discount screening price of $10 ($5 savings); free film screening ticket; and Official GCIFF Program guide mailed to your home. Tickets go on sale to members on Oct. 15 and on Oct. 17 to the general public. Visit http://goldcoastfilmfestival.org/membership/. More information from the Gold Coast Film Festival, 113 Middle Neck Road, Grat Neck, NY 11021, 516-829-2570, email info @goldcoastarts.org, http://goldcoastfilmfestival.org. LONG ISLAND, NY – A star-studded evening featuring an intimate conversation with iconic film and television star Robert Wagner to benefit the Gold Coast Arts Center and its Gold Coast International Film Festival, will take place on Wednesday, October 24, 2018 from 6:30 p.m. to 10:30 p.m. at the Gold Coast Arts Center, 113 Middle Neck Road, Great Neck, NY 11021. Joining Wagner at the gala will be a number of his closest Hollywood pals. Among the stars expected to attend are Jill St. John, Joel Grey, Larry King, Richard Thomas, Edwina Sandys, Mrs. Anthony (Katherine) Quinn, Tippi Hedren, Greg Mullavey, Angie Dickinson, Diane Baker, Constance Towers Gavin, and others. The evening will begin with cocktails, food, music, and a silent auction. The festivities will move into the theatre where guests will enjoy “A Conversation with Robert Wagner” moderated by renowned film historian, author, and professor Foster Hirsch and attended by Wagner’s friends. The evening will conclude with a dessert reception. In addition to hearing a firsthand account of his life and career by the handsome and debonair actor who is one of the most popular and successful stars in the entertainment industry, guests will feast on an array of outstanding food in a glamorous atmosphere. Gala tickets cost $250 and numerous sponsorships for the gala are still available. For more information, or to purchase a ticket, call 516-829-2570. The occasion will be used to bestow the second annual Burton Moss Hollywood Golden Era Award upon Wagner in recognition of his long, illustrious career in film and television that began in 1950 with his film debut in The Happy Years starring Dean Stockwell and Darryl Hickman. Among Wagner’s numerous film credits includes With a Song in My Heart, Broken Lance with the legendary Spencer Tracy, Dragon: The Bruce Lee Story, The Pink Panther, The Curse of the Pink Panther, Midway, The Towering Inferno, Banning, Harper, Prince Valiant, The True Story of Jesse James, and All the Fine Young Cannibals. He re-created his role of Number Two, the villainous henchman to Dr. Evil, the archenemy of Mike Myers’ title character in Austin Powers: The Spy Who Shagged Me. On television, Wagner has starred in three long-running hit series, It Takes a Thief with Fred Astaire; Switch with Eddie Albert and Sharon Gless and Hart to Hart with Stefanie Powers. He also starred in the top-rated miniseries Windmills of the Gods based on Sidney Sheldon’s best-selling novel; with Joanne Woodward in A Kiss Before Dying; and with Elizabeth Taylor in There Must Be a Pony. He also appeared in the memorable Seinfeld episode, “The Yada, Yada, Yada,” as Dr. Abbot. Named for the man who has represented some of Hollywood’s finest stars, the Burton Moss Hollywood Golden Era Award pays tribute to film legends who may not have been honored appropriately during their lifetimes, and whose legacy is in danger of becoming forgotten by newer generations of filmgoers. The award itself an original work of art was created by renowned sculptor Edwina Sandys, who is a granddaughter of Sir Winston Churchill. The first award was presented posthumously to Rita Hayworth and accepted by her daughter, Princess Yasmin Aga Khan, at the presentation made at a private reception held at the New York City home of Ms. Sandys in October 2017. Moss, who is also expected to attend the gala, has amassed an impressive client roster that has included such iconic stars and personalities as Bette Davis, Sidney Poitier, Robert Vaughn, Tom Cruise, Mia Farrow, Juliet Mills, Hugh O’Brian, Cliff Robertson, Tippi Hedren, William Shatner, Dyan Cannon, Carroll O’ Connor, Martin Landau, Sally Kellerman, Dina Merrill, Connie Stevens, Tom Bosley, Barbara Eden, Larry Hagman, Dorothy McGuire, Charles Bickford, Victor Jory, Sally Kellerman, Carrie Snodgress, Larry King, Elizabeth Montgomery, Constance Towers, Ruth Roman, Cyd Charisse, June Allyson, Jack Valenti, and Hollywood’s “Love Goddess,” Rita Hayworth. Proceeds from the benefit will help support the Arts Center’s many outreach projects, including Making Memories, a program that serves those with Alzheimer’s and memory impairment; as well as ArtReach, a program that brings Arts Center faculty and programs to schoolchildren to enrich their curriculum with arts education in the areas of ceramics, painting, music, dance and chess. More information can be found at www.goldcoastfilmfestival.org. 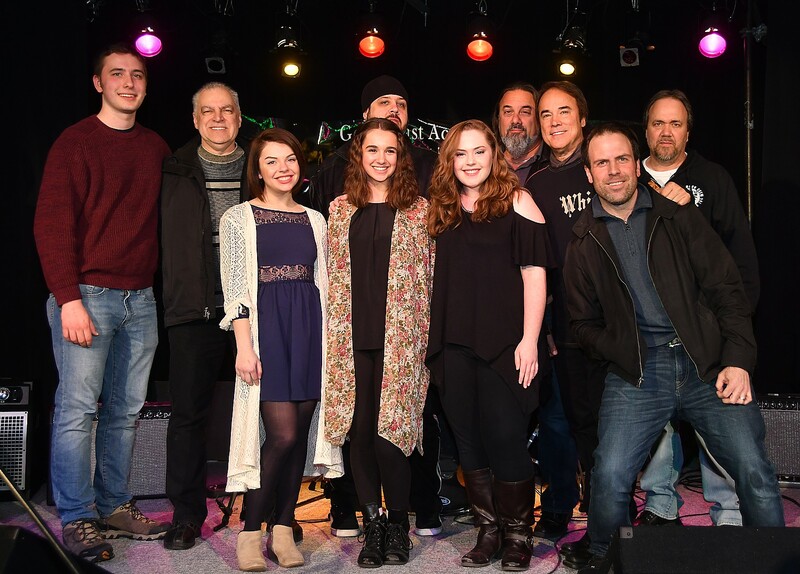 The Gold Coast Arts Center, Love Revolution Org, and the Rick Eberle Agency are gearing up for what promises to be an exciting final round of this year’s “Your Big Break Competition” on Saturday, April 21, at the Center’s Acoustic Café, 113 Middle Neck Road, Great Neck, Long Island. Doors open at 7:30 p.m. with the first act taking the stage at 8:00 p.m. Advance tickets are $15 for adults, $10 for students, and $20 at the door). To purchase tickets in advance visit: goldcoastarts.org/your-big-break-final/. The top five remaining finalists, who survived the first two knockout rounds held earlier this years, will perform for judges in the music business that includes producers, radio and television personalities and music business executives. The winner will be chosen by the judges and audience members, as the performers vie to win prizes and recognition that can help boost their music careers. Among the prizes include the chance to open for national acts at major local venues like The Paramount; recording time at DCITY Studios; a feature on Reverbnation.com; musical equipment from All Music Inc. and ZOOM North America; and public relations and social media campaign, booking and label services consultation with the Rick Eberle Agency. This years “Your Big Break Competition” finalists are singer/songwriters Kaylee Shahira and Lydia von Hof; and bands 37 Stripes, All Types of Kinds, and Psychopompus. Kaylee Shahira is a young, passionate indie-pop artist with a killer sound who hails from northwest Indiana. Shahira loves writing about the questions nobody can answer — living with mental illness, personal life philosophies, and the intricacies of being a social animal. Shahira exudes promise as an emerging artist. The band 37 Stripes formed in the fall of 2016. 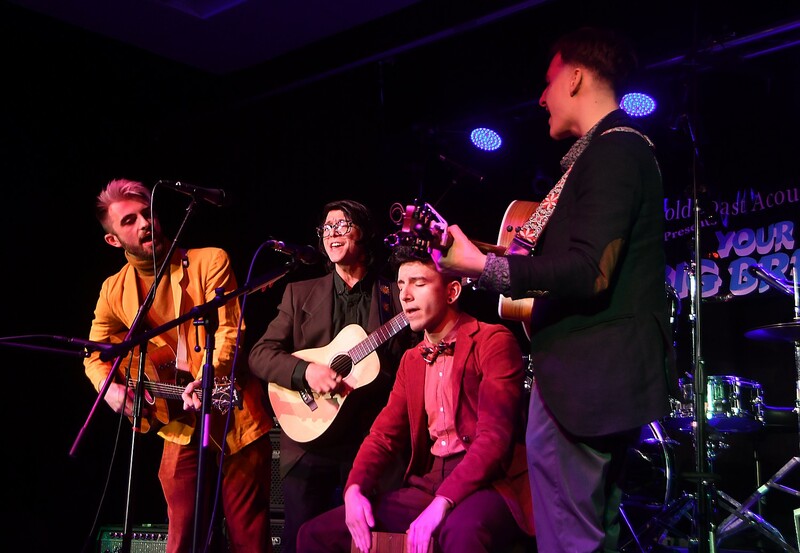 The members were introduced at the iSchool of Music and Art on Long Island and quickly connected with one another and settled on musical upheaval as an alternative expression. 37 Stripes have been writing their music and playing at festivals and venues around New York City. Band members are Manhasset residents Andrew Hahn, who plays Fender bass, sax, and keyboard; Oscar Cellura on Fender guitars, and keyboard; and percussionist Zach Levine, a resident of Syosset, who plays the drums. The band has played at the renowned “Bitter End” in Greenwich Village and Mulcahy’s in Wantagh, NY. 37 Stripes were also finalists in the Town of Oyster Bay’s Battle of the Bands and the Morgan Park (Glen Cove) Summer Music Festival. First formed at Great Neck South High/Middle School in 2010, Psychopompous is the most recent nominal iteration of the musical project formed by singer and guitarist Justin Kelly, percussionist Beni Hahitti, and bassist Maximillian Nero. The three created Psychopompous through a mutual interest primarily in progressive rock, and then expanded into an unending plethora of musical interests that continues to grow at an alarming, and often frustrating rate. Their music has taken notes from progressive rock, heavy metal, alternative, blues, funk, psychedelia, Gregorian chant, Tibetan throat singing, and occasionally whale songs. They have been known in the past for their sincere love of technical music, experimentation, improvisation, and their unbridled willingness to play music nobody wants to hear. All Types of Kinds is a New York City-based Alternative band consisting of guitarists Billy Conahan, Ray Rubio, and Rocco Stoker, along with percussionist Berk O. As a group, they have performed from folk to rap and other genres in between. Their music and shows reflect the band’s diverse background in helping them achieve success in the New York metropolitan area. 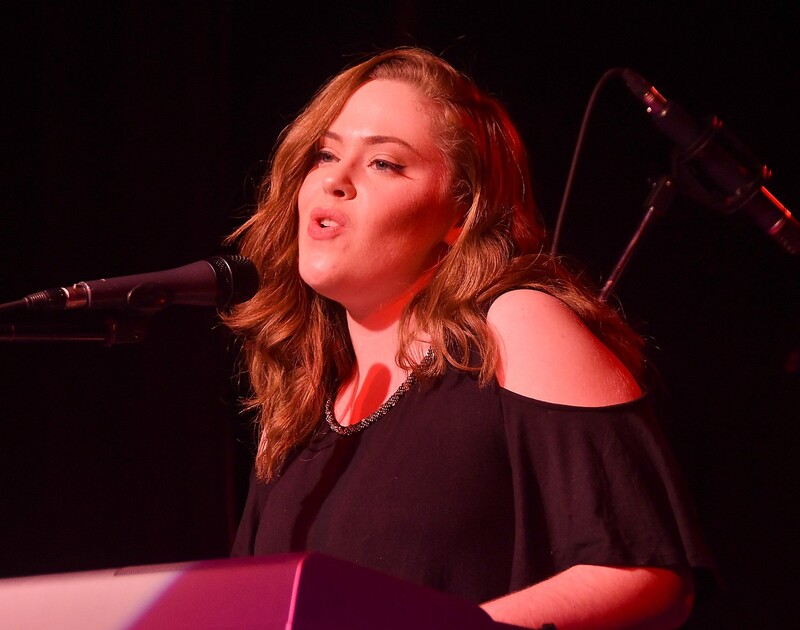 Band members are all singer/songwriters with an extensive repertoire of songs. Having grown up performing in musical theater, stand-up comedy, and as actors, the group is skilled at crowd engagement, making their shows unique and upbeat. Their personal and group experiences give them the ability to read and play to any crowd, creating a show that is always changing and entertaining to diverse audiences. The Gold Coast Arts Center is a 501(c)(3) organization dedicated to promoting the arts through education, exhibition, performance and outreach. Located on the North Shore of Long Island, it has brought the arts to tens of thousands of people throughout the region for over 20 years. Among the Center’s offerings are its School for the Arts, which holds year-round classes in visual and performing arts for students of all ages and abilities; a free public art gallery; a concert and lecture series; film screenings and discussions; the annual Gold Coast International Film Festival; and initiatives that focus on senior citizens and underserved communities. These initiatives include artist residencies, after-school programs, school assemblies, teacher-training workshops and parent-child workshops. The Gold Coast Arts Center is an affiliate of the John F. Kennedy Center for the Performing Arts Partners in Education program, and the National Gallery of Art in Washington, D.C. More information can be found at www.goldcoastarts.org. Great Neck, NY — Now in its sixth year, the Gold Coast Arts Center and Love Revolution have issued an open call for submissions for musicians 15-25 living on Long Island and in all five boroughs to enter the “Your Big Break” talent competition for 2018. The deadline is January 7; there is no fee to enter. The open call is for all musicians age 15 to 25 living on Long Island and in all 5 boroughs that do not currently have a recording or publishing contract to submit for the showcase events; interested artists must perform with a band or solo with an acoustic guitar or sing to a backing music track. Though artists will be judged in areas from stage presence to overall musicianship, YBB is largely a singing competition. During the competition, mentors are assigned to the finalists for YBB to help them hone their craft before performing at the finals. 2018 mentors are still to be announced, but this past year’s included American Idol’s Robbie Rosen, Dream Recording Studio’s Jason Melker, Sojourn Record’s Mark Ambosino, producer/songwriter and former VP of A&R at Atlantic Records Jimmy Bralower, singer/songwriter John Hampson of Nine Days, and songwriter/producer Donnie Klang of MTV’s “Making the Band”. Judges are major players in the music industry as well; past judges have included ReverbNation.com’s Lou Plaia, All Music Inc.’s Guy Brogna, songwriter Tara Eberle Drouin and label executives Stephen Marcuccio, Jerry Lembo, Linda Ingrisano, Mark Ambrosino. Each evening is capped with a special headlining performance. Past artists who have performed in the headline slots have included: Lem Payne, Jr., Iridesense, John Hampson of Nine Days, The Brady Brothers, and Sir Cadian Rhythm – all of whom are local musicians who have had major success in the industry, with hopes to further inspire the next generation of New York stars presented each year. For more information on upcoming classes, exhibits, and activities at the Gold Coast Arts Center, visit www.GoldCoastArts.org or call (516)-829-2570. The Gold Coast Arts Center is a 501(c)(3) organization dedicated to producing and supporting the arts through education, exhibition, performance and outreach. For over 20 years they have brought the arts and arts in education experiences to tens of thousands of people throughout our region through its School for the Arts, which offers year-round classes in all visual and performing arts to students of all ages and abilities; free public art gallery; concert and lecture series; outreach programs, which each year bring artist residencies, after-school programs, school assemblies, teacher training workshops and parent-child workshops to students, senior citizens, teachers and others in underserved communities throughout our region; year round film screening and discussion series and Gold Coast International Film Festival. The Arts Center is an affiliate of the John F Kennedy Center for the for the Performing Arts: Partners in Education Program and National Gallery of Art, both located in Washington DC. A trio of singer-songwriters, Julia Hayden, Paris Ray and Lydia Van Hof, were winners of the second-round of Gold Coast Arts Center’s ‘Your Big Break’ Talent Competition, and will go on to the finals, April 1. 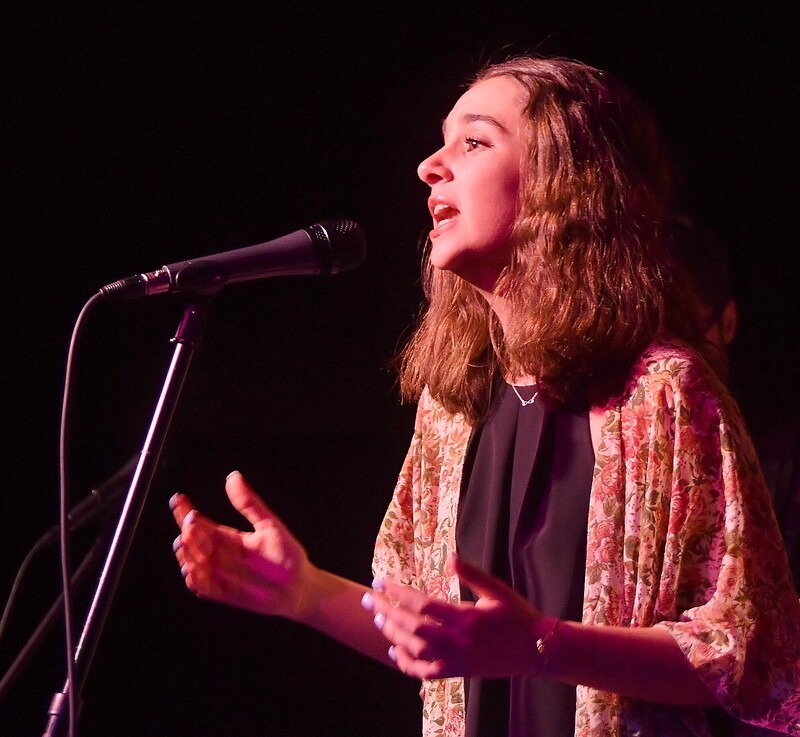 With the first-round winners, singer-songwriters Julia Lambert, Jaclyn Manfredi, and Alex Mendes, this seals the line up for the finals, on April 1, taking place at the Gold Coast Arts Center, 113 Middle Neck Road, Great Neck, Long Island. The other five performers also impressed the judges and audience with their original music as well as covers and live musical accompaniment: Tessa Field (whose original song, dedicated to her mother who passed away, featured this line, “don’t know what to do when I see my smile in pictures of you,”), Taylor Hogan (her original song was “Sane Wonderland”, and two bands, City Alley and Times Like These. The “Big Break” is not just a clever title. The young performers are competing for prizes that could well launch their career. Winners are up for prizes including the chance to open for national acts at major venues like The Paramount, recording time at DCITY Studios and Online TV streaming opportunities, a feature on Reverbnation.com, musical equipment from All Music Inc. and ZOOM North America, a PR and social media campaign including management, booking and label services consultation with Rick Eberle Agency. In addition, Rick Eberle has also invited all the contestants to appear on his radio and TV shows. Mentors assigned to the finalists also work to help them hone their craft before performing at the finals. 2017 mentors are still to be announced but last year’s included singer/songwriter Ryan Star, John Hampson of Nine Days, and songwriter/producer Ido Zmishlany. Judges are major players in the music industry including: ReverbNation.com’s Lou Plaia, All Music Inc.’s Guy Brogna, Label Executives Stephen Marcuccio, Jerry Lembo, Mark Ambrosino. 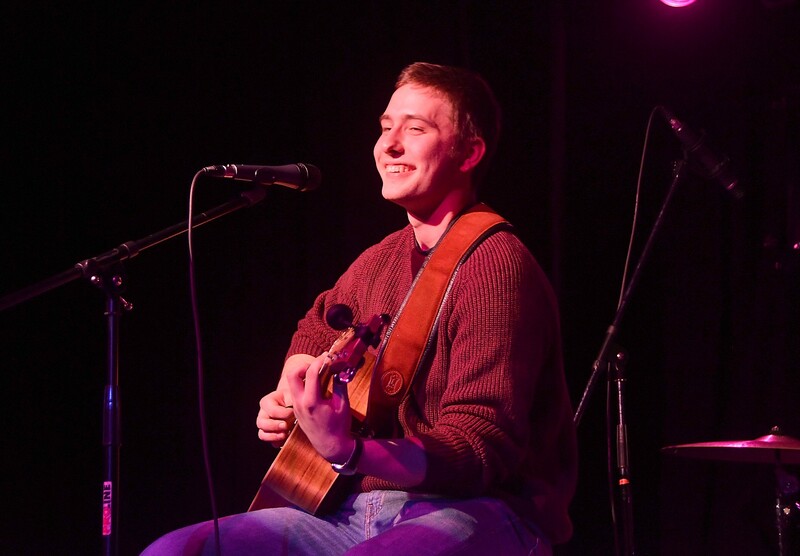 The evening was capped with a headlining performance by singer-songwriter Matt Grabowski who was last year’s winner. Your Big Break is hosted by the Gold Coast Arts Center’s Acoustic Café and LoveRevolution.org. The contestants for Your Big Break were selected from 1000 submissions in response to an open call for musicians age 15 to 25 who do not currently have a recording or publishing contract. The artists have to perform with a band or solo with an acoustic guitar or band or sing to a backing music track. There is no fee to submit. The Arts Center is transformed into the Gold Coast Acoustic Café once a month, a music venue that showcases local up-and-coming talent as well as established music acts. With its black box theater performance space and a lounge in the art gallery, the Gold Coast Acoustic Café is one of the few small music venues around which makes for a special and intimate atmosphere for artists and audience alike, especially during Your Big Break. Doors open at 7:30 pm for general seating and the first act will perform starting at 8:00pm each night. Tickets are $10 for students and $15 for adults. Snacks are available for purchase. Gold Coast Arts Center, 113 Middle Neck Road, Great Neck NY. Call 516-829-2570 or go to www.goldcoastarts.org. Singer-songwriters Julia Lambert, Jaclyn Manfredi and the band Barely Know Her were winners of Knockout Round of the Gold Coast Arts Center’s 5th annual Your Big Break talent competition. Lambert and Manfredi, who won the judges’ tally, and Barely Know Her who won the audience vote, will go on to the finals on Saturday April 1. The next round will take place on Saturday, March 11 at the Gold Coast Arts Center, 113 Middle Neck Road, Great Neck, Long Island. Barely Knew Her is a five-piece band from the South Shore with a solid horn section and an amazing drummer. The other performers included Kayla Muro, a 17-year old who describes her music as “Alt Pop”; Sabrina Ali, 22, who has performed at the Bitter End and was a contestant at 16 years old on American Idol and The Voice (her grandfather was a Bollywood legend and her mother is an actress); Sydney Perruzza who did a cover of Lady Gaga’s “Speechless,” E.J. Carey who is a powerhouse who packs punch; Samantha Daniels, who has been performing since she was 16; Alex Mendes, who brings her classical training in opera and musical theater to a rich and impassioned performance that evoked in my mind Tina Turner. Winners are up for prizes including the chance to open for national acts at major venues like The Paramount, recording time at DCITY Studios and Online TV streaming opportunities, a feature on Reverbnation.com, musical equipment from All Music Inc. and ZOOM North America, a PR and social media campaign including management, booking and label services consultation with Rick Eberle Agency. Judges are major players in the music industry including: ReverbNation.com’s Lou Plaia, All Music Inc.’s Guy Brogna, Songwriter Tara Eberle Drouin and Label Executives Stephen Marcuccio, Jerry Lembo, Linda Ingrisano, Mark Ambrosino. The evening was capped with a headlining performance by Lennon & Katie, a duo formed from past finalists, Lennon from the band Youth Be Told and Katie Zimmer who is now the lead singer in Youth Be Told. Your Big Break is hosted by the Gold Coast Arts Center’s Acoustic Café and Love Revolution Org. The contestants for Your Big Break were selected out of 1000 submissions in response to an open call for musicians age 15 to 25 who do not currently have a recording or publishing contract. The artists have to perform with a band or solo with an acoustic guitar or sing to a backing music track. There is no fee to submit. The Arts Center is transformed into the Gold Coast Acoustic Cafe once a month, a music venue that showcases local up-and-coming talent as well as established music acts. With its black box theater performance space and a lounge in the art gallery, the Gold Coast Acoustic Cafe is one of the few small music venues around which makes for a special and intimate atmosphere for artists and audience alike, especially during Your Big Break. Other past artists who have performed in the headline slots have included: Iridesense, John Hampson of Nine Days, The Brady Brothers, and Sir Cadian Rhythm – all of whom are local musicians who have had major success in the industry, with hopes to further inspire the next generation of New York stars presented each year. The next round takes place Saturday March 11 at the Gold Coast Arts Center. On deck to perform are Alex Norwood, Julia Hayden, Monique Thompson, Tessa field, Paris Ray, Taylor Hogan, Lydia Von Hof and Pocketphuzz. The headliner is Lem Payne Jr. Doors open at 7:30pm for general seating and the first act will perform starting at 8:00pm each night. Tickets are $10 for students and $15 for adults. Snacks are available for purchase. Painting by Laini Nemett, one of the featured artists in the exhibit, “Interiors,” at the Gold Coast Arts Center, Great Neck, Long Island, Sept. 18-Nov. 20. Great Neck, Long Island, NY — “Interiors,” an art exhibition of painting, sculpture and photography by artists Laini Nemett, Orestes Gonzalez, and Maxi Cohen opens at the Gold Coast Arts Center on September 18, with a reception from 4-7 pm, and runs through November 20. Interiors is an exhibition that explores the artist’s relationship with familiar places and how they connect to interior landscapes of personal history, memory and association. The painter Laini Nemett comments that she wants the composite imagery to conjure memory but also to emulate an experience of place. Orestes Gonzalez’s photographs of interior spaces captures moments of loneliness, happiness and a time of innocence. Photographer/videographer, Maxi Cohen captures moments in the ladies room, “as a space of sanctuary and solitude”. As the exhibit’s title suggests, their work serves as portals to interior spaces that are in plain sight, not to be missed. Laini Nemett studied at The Hoffberger School of Painting at the Maryland Institute College of Art and has participated in solo and group exhibitions all over the world-including New York, Italy, China, Africa, and Spain. She has an intriguing technique of constructing three-dimensional models which she then depicts in large-scale two-dimensional paintings. She has won multiple awards, including the Joan Mitchell Foundation Grant as well as a Fulbright Grant. She currently teaches at Union College in Schenectady, NY. Orestes Gonzalez has been taking photographs for over 25 years. His photography style is not a literal representation, but rather symbolic in spirit. “To convey a feeling of loneliness, innocence, happiness or history is what moves me to take pictures” Gonzalez stated of his work. His portfolio includes landscapes, interior design, architecture and portraits. Maxi Cohen is an award-winning artist and filmmaker based in New York City. Her films, photographs and multimedia installations have been exhibited internationally and are in the permanent collections of numerous museums, including the Museum of Modern Art in New York, the Whitney Museum for American Art in New York, the Museum of Fine Arts in Houston, the Israel Museum in Jerusalem, and the National Gallery of Canada, Ottawa. Cohen’s television work includes short films produced for Saturday Night Live, the Comedy Channel, MTV Networks, PBS, Children’s Television Workshop, and Fox Broadcasting. She has independently produced and directed shorts and feature-length documentaries, fiction and animation that have been broadcast on network, cable, public and foreign television. The Gold Coast Arts Center is located at 113 Middle Neck Road (entrance from the Maple Avenue parking lot), 516-829-2570, goldcoastarts.org. Great Neck, NY — With the initial two rounds of the Gold Coast Arts Center and Love Revolution Org’s search for the next big music star completed, Matt Grabowski, Taylor Hogan, The Days Beneath Us, Frankel Sisters, Trish Tottales and Jaclyn Manfredi are gearing up for the semifinals Saturday, March 12 for the 4th Annual “Your Big Break” talent contest. The youthful performers are competing for major prizes, including the chance to open up for a national act at The Emporium, recording time at IndiMusic Studios, a feature on Reverbnation.com, musical equipment from All Music Inc. and ZOOM North America, PR and social media campaigns from Rick Eberle Agency, and more to be announced. Come down to the show and network with some of the best and brightest people in the music business because–along with the judges–the audience have a vote in determining this year’s winner. For the second year in a row, winners of the semifinals will have mentors who will work with the artists to help them hone their craft before performing at the finals. Last year’s mentors were New York based hit makers Ryan Star, John Hampson, Ido Zmishlany and Mark Ambrosino. The judges for the competition include Neil Rubenstein, the manager of The Emporium music venue in Patchogue, Chris Pati of IndiMusic TV, Lou Plaia from Reverbnation.com, Guy Brogna from All Music Inc., and Jerry Lembo– a music industry consultant who has worked with Grammy Award-Winning entertainers. 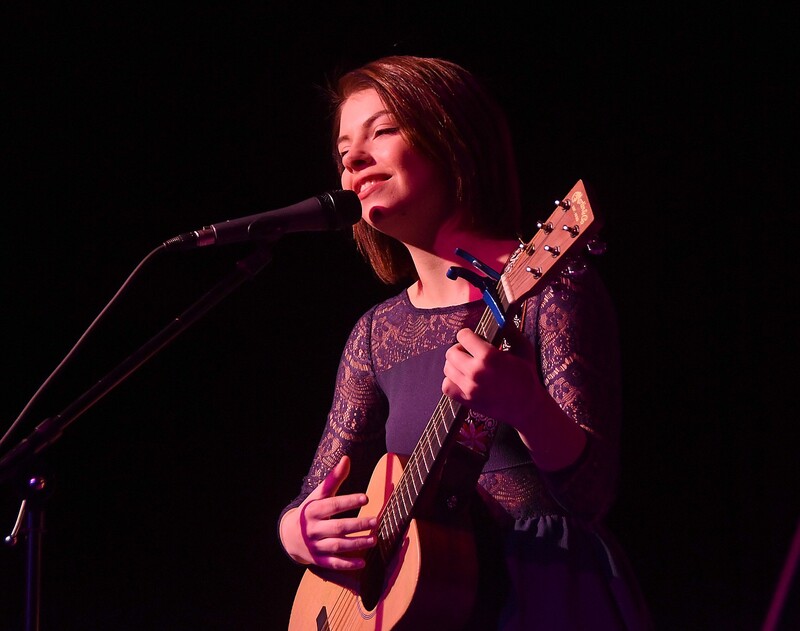 The Arts Center will round out the evening’s festivities with another Headlining performance by Youth Be Told, 1st annual “Your Big Break” winners, performing with 2nd annual “Your Big Break” winner Katie Zimmer. The Arts Center is transformed into the GOLD COAST ACOUSTIC CAFÉ once a month, a music venue that showcases local up-and-coming talent as well as established music acts. With its black box theater performance space and a lounge in the art gallery, the GOLD COAST ACOUSTIC CAFÉ is one of the few small music venues around which makes for a special and intimate atmosphere for artists and audience alike, especially during YOUR BIG BREAK- a competition whose past winners include semifinals headliners Youth Be Told and Katie Zimmer, round 2 headliner Annika, as well as finalists SEE and Zofolk who have gone on to work with major producers, managers and agents. Past artists who have performed in the headline slots have included: Iridesense, John Hampson of Nine Days, The Brady Brothers, and Sir Cadian Rhythm – all of whom are local musicians who’ve had major success in the industry, with hopes to further inspire the next generation of New York stars presented each year. Winners will move on to the Finals on April 2, where they’ll compete for prizes and recognition that can help boost their music careers. Doors open 7:30 pm; Show starts 8 pm. Tickets are $10/students (greatneckarts.org/wordpress/yourbigbreak). Gold Coast Acoustic Cafe, 113 Middle Neck Road, Great Neck, NY 11021, tel. 516-829-2570, greatneckarts.org.